External Affairs Minister Sushma Swaraj on Friday said that visa for France has been issued for ailing Indian national Amrinder Singh’s father. Sushma informed about the visa on Twitter and wished parents about sound health of Amrinder Singh. Amrinder has been struggling with severe blood infection in a French hospital. Earlier on Monday, Sushma assured help to Amrinder. 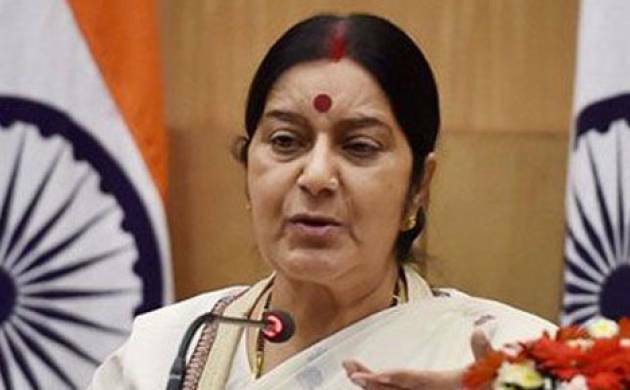 Sushma said that she instructed Indian Embassy in France to extend all help to the ailing patient. Akali Dal leader and Delhi Sikh Gurdwara Management Committee General Secretary Manjinder S. Sirsa had earlier tweeted about the struggles of Amrinder and family. He requested help for Amrinder’s family who wished to travel to France. “Requesting @Indian_Embassy for support for the ailing Amrinder who has been on work visa in France and is stranded in a hospital in France. The condition of Amrinder Singh is a matter of serious concern. I request to @SushmaSwaraj Ji to look into the matter sympathetically” he had tweeted.